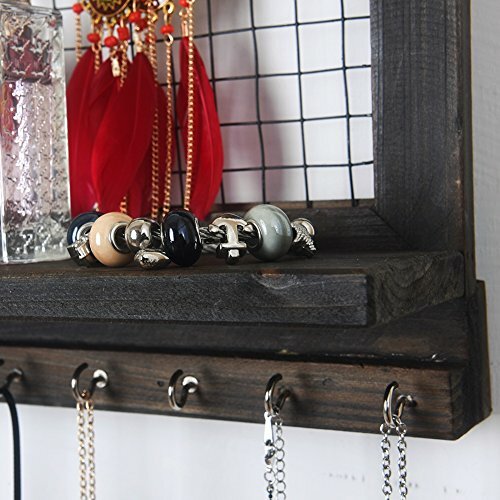 Best Showcase: Display your best pieces any way you want. 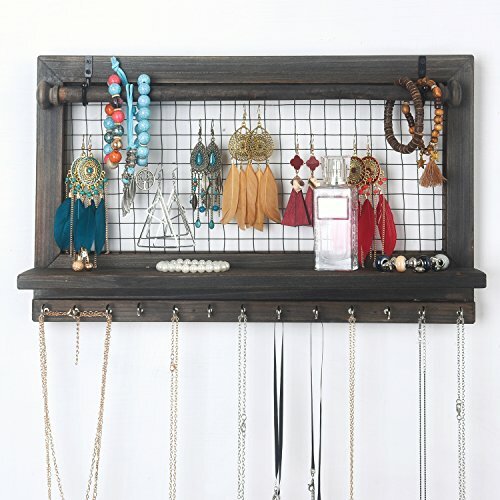 Perfect Organizer: All your favorite jewelries in one place, each of them easily accessible. 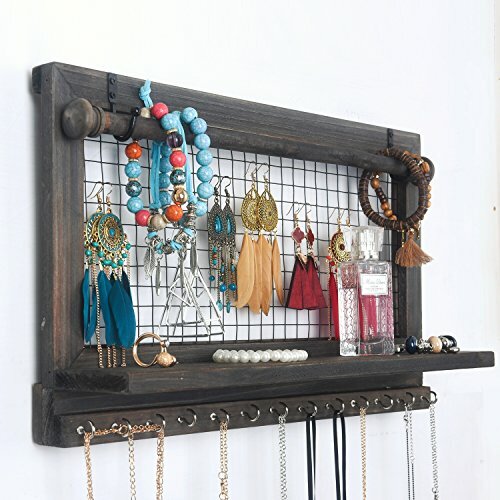 One exclusive spot for each piece of your jewelry. 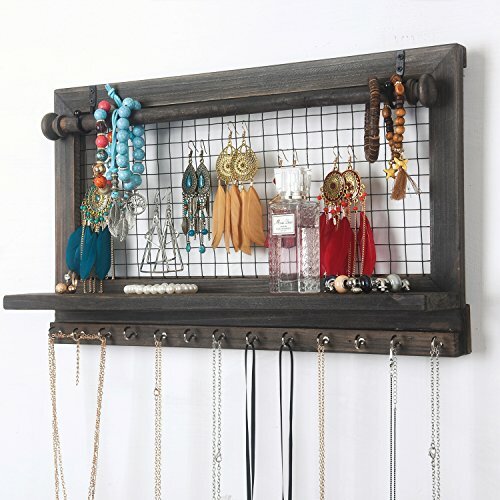 Shabby Chic: Add a rustic tone to your home. 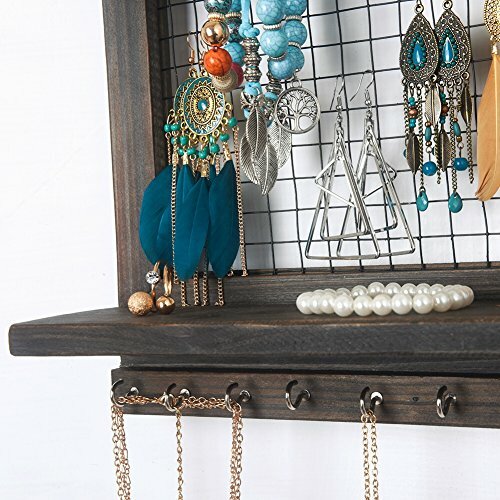 This nice and chic jewelry organizer can keep your jewelry tangle free and display them in a great style. 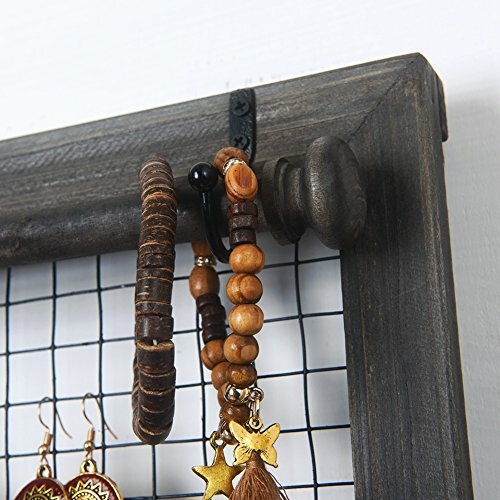 Charming decoration to your room, it could add a rustic tone to your home. You and your guests will enjoy it for years to come. It¡¯s also a perfect gift to a sister, mother or a girlfriend! Easy Installation: No assembly required. Invisible nails included in the package. Ready to use. 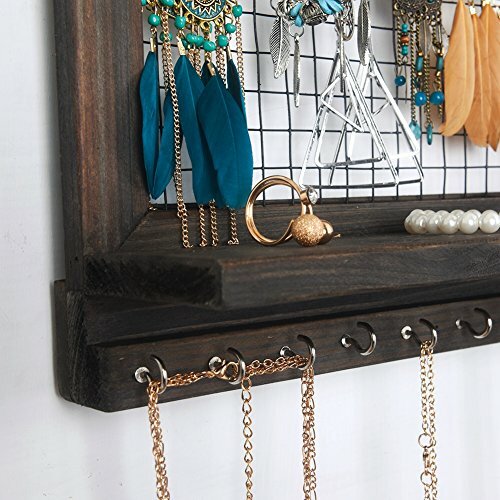 Perfect Size: 16.5″*10″*3″ shelf with 12 hooks.